Ahmad Khan joined the GlobalConnect team as a Senior Procurement Manager in October of 2018. He is responsible for conducting procurements for programmatic and operational commodities from pre-award to post award in compliance with US government and Meridian rules and regulations. Previously, he worked as Procurement & Logistics Coordinator at ACDI/VOCA. Ahmad is an experienced procurement management professional who worked in Washington, D. C. and Afghanistan with a diverse set of implementing organizations in international development, including AECOM, IESC, Creative, IRD, CADG, and Mercy Corps on USAID, Office of Transition Initiatives (OTI), Canadian International Development Agency (CIDA), Department for International Development-UK (DFID), World Bank and USDA-funded projects. Ahmad can speak multiple languages, including English, Pashto, Dari, and Urdu. 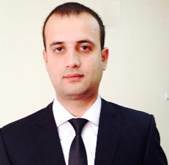 He received training on USG procurement regulations for FAR/AIDAR/CFR/ADS/OMB circulars, and has a Bachelor of Science degree from the University of Baluchistan- Pakistan.